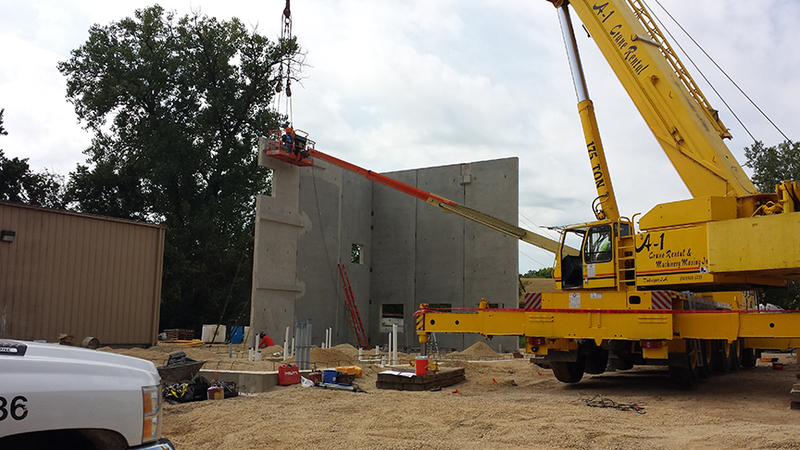 This project is an addition to the Torkelson Cheese production facility. The exterior face of the wall panels is a grey form finish with reveals. The interior face is a steel trowel finish. The walls were also designed as a continuously insulated system. Insulation within the panels extends to all four edges without any interruptions. Architect: Lingle Design Group, Inc.